RILEY REID MYSTERIES Volume 3 - You can find Jesters and Junkies - Book 1 and Fire and Lies - Book 2 here on Amazon. 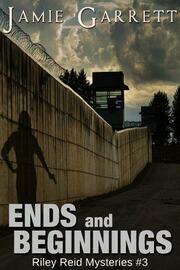 Ends and Beginnings is a novella of approximately 100 pages (25,000 words). The investigation into the fires in her home town took its toll. After waking from a nightmare and finding her loaded gun in her hand, private investigator Riley Reid decides she needs to get away from Stone Harbor for awhile. Following the new lead on her parent’s disappearance, Riley is determined not to return until she finally finds out what happened to them. The mystery takes Riley across Virginia, and out of state, where she meets people from her past, some of which she’ll be wishing had stayed there. Meanwhile, news from home had her worried, and may change everything she ever thought she knew.